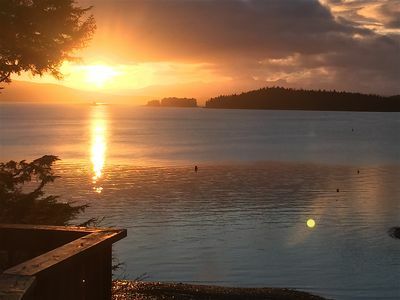 Breathtaking views of Auke Bay harbor and 15% discount on 20 Alaska excursions. 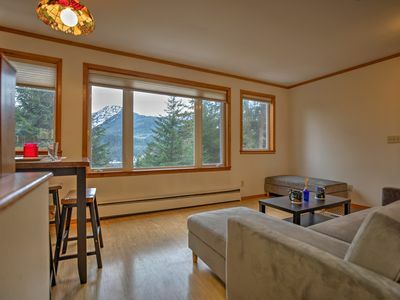 This extra-large, south-facing, corner unit, features amazing mountain and ocean views from two walls of windows. 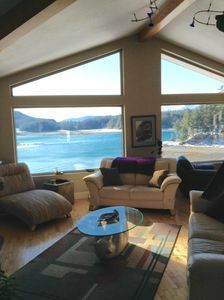 The location can t be topped! 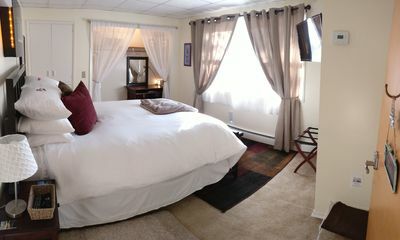 This charming apartment is located in the main business complex of this picturesque, harbor community. 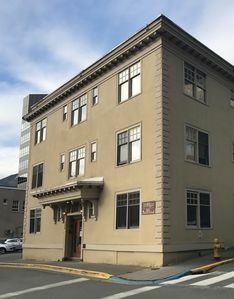 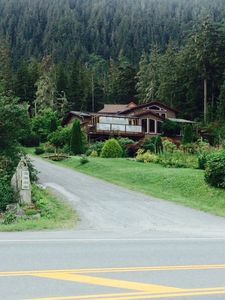 The complex hosts several businesses including three restaurants, a hair salon, a second hand retail shop, a Laundromat, and the bar with a view at Auke Bay - Squires Rest. 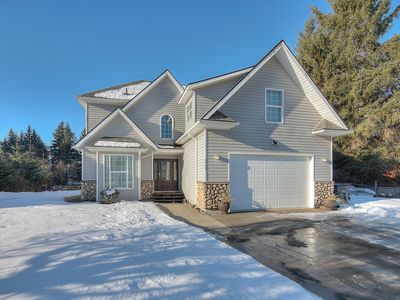 Deharts convenience store, Fisherman’s Bend dock and gas station, post office, university, school and churches are all within close walking distance. 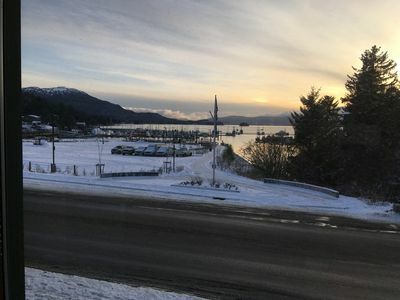 The ferry terminal and other marine businesses are close. 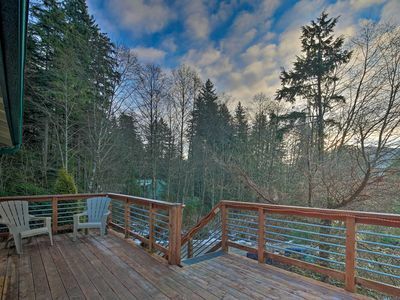 If you like the outdoors, you ll love the trails and fishing spots that you can easily walk to. 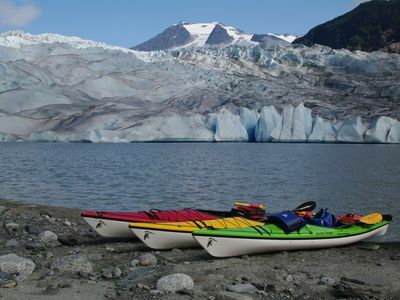 There are many fun, excursions across the street at the harbor, including kayaking and whale watching. 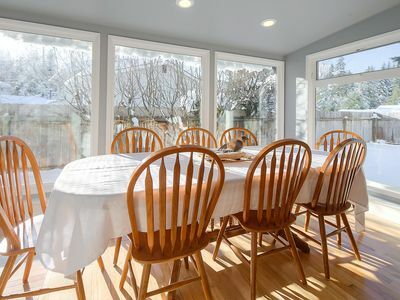 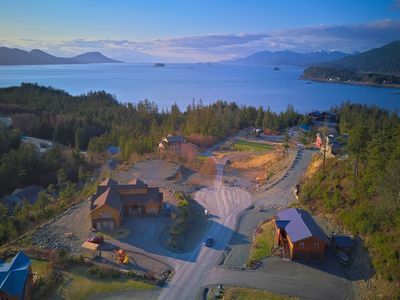 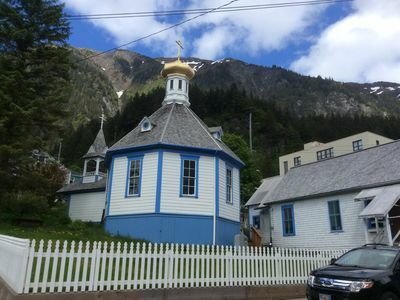 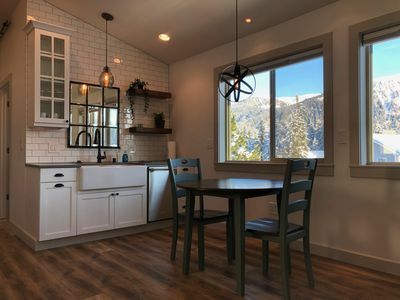 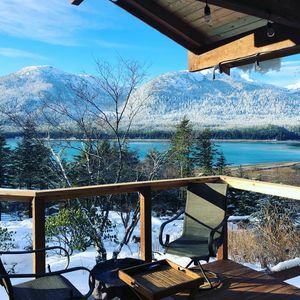 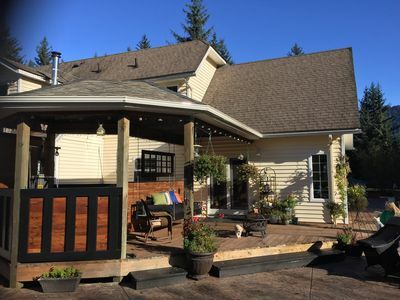 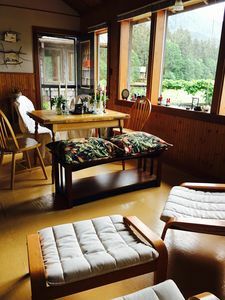 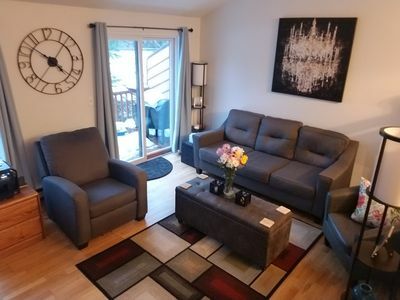 Host happens to be an owner of a large tourism company, and offers her vacation rental guests 15% off on all of the companies excursions throughout Alaska, including whale watching, kayaking, river rafting, jeep tours, salmon bakes, gold panning, boat and hiking tours, private cars, and more! 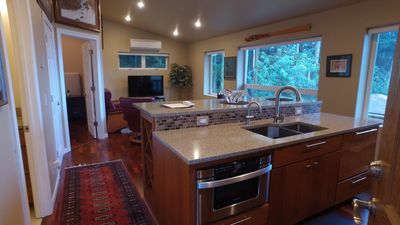 Scenic Riverfront Retreat - Outdoor and Wildlife Enthusiast Dream!